Every person that has built an email list knows that there is money there. Not just pennies are there but thousands of greenbacks. You might even belong to email groups and witness successful email marketing campaigns working for the almighty dollar. Your power as a real estate agent or investor will always be in your personal list. Learning how to increase email conversion rates will get more eyeballs reading what you write. It’s a sad reality that not every person on your mailing list will open your email. The key is persuasion with three key factors that are proven to get more emails open that you send. The Internet world has come a long way with email marketing. The old phrases like “Check This Out” and “Special Gift for You” just do not work as well anymore. People are now more protective of personal time and space. There has to be a purpose for someone to open an email. You can increase your conversions by writing better headlines. Power words are one way that you can beef up the headlines that you create. Words like “new”, “free”, “easy” and “save money” are power words that marketers are using to get responses. Adding these words into your great headline will skyrocket your email open rates. Everywhere you go in life people have problems. No one sits and waits for problems to happen. Problems just invite themselves. You can use the negative aspects of a problem to your advantage. The need for reliable housing is always a problem in real estate. Every person needs shelter. Many would love a dream home although they don’t know where to buy it or if they can. Addressing real life problems that affect the people you market to will make action happen with your emails. People like problem solvers especially when you are the only qualified one to help them. This comes when those on your email list trust you. You can have the biggest email list in the world and not convert one buyer. The size of your email list does matter, but what matters the most is quality of the list itself. There is nothing wrong with spring cleaning your email list from time to time to make it great. Keeping people on your list that respond to your offers and requests is what you want. Part of your branding is positioning your image online. If people trust you, they will always respond to what you are marketing. It takes time to build a great list. Do not get in a hurry and you’ll be able to convert your list like a real pro. This email conversion tips are the very tips that we use everyday in our Internet marketing for real estate training and services. You can get a lot of info from our free webinar that you can use to expand your real estate marketing online. 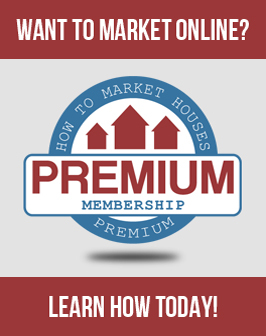 Check out what we have to offer and step up your real estate marketing results.